In wooden pallet, In plastic film, the spare parts and cabinet packed by wooden box Q: What's the payment term9 A. We can change the voltage as your requirement, and there's no extra charge Q: How do your control quality9 A. We have an inspection team to check the products at all stages of the manufacturing process Q: What parameter is necessary9 A. 2) Especially it can make high quality You Mao nails which used for high speed welding machine and nail gun, and it can also make nails for other uses. 3) Each nail making machine include related nail moulds, nail knife and punch pin ect spare parts. 2.W elcomed to visit our factory, the machines can be operated on site, and you will master the usage of machines. Our main products include Nail Making Machine Production Line, Wire Drawing Machine Production Line, High-speed Screw Rolling Machine and High-speed Coil Nail Machine. Our engineer travels too many countries to assist customers to install the nail production line if necessary. Nail Making Process It is simple, first make nails by nail making machine, second polish nails by nail washing machine. First step: wire drawing machine is used to draw the wire to the fine dia we need. 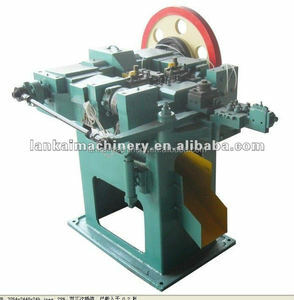 we also make all kinds of pulley wire drawing machine Second step: nail making machine is used to make nails. we just need to put the fine dia wire into the entrance of the nail making machine. 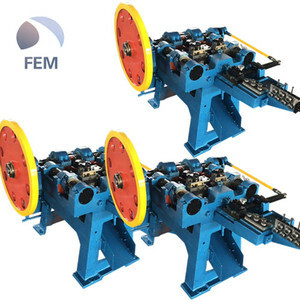 Used wire nail making machine adopts plunger type structure to ensure its high working speed, low noise and low impact characteristics. 2). Each used wire nail making machine supply related nail moulds, nail knife and punch pin ect spare parts. Single horizontal wire drawing machine WSL650 14mm 2.0mm 18.5kw 65m/min Second --Nail making machine: to get different sizes of nails. Third, after the start of the machine to be normal operation can be pulled into the line handle into the line nail, parking should stop before the line. Fifth, the machine should be observed during the operation of the friction parts of the temperature rise and abnormal sound of the occurrence. Eight, regular oil lubrication, to ensure that the lubrication part of the lubrication is good, the new machine use, in 15 days the best for a lot of lubrication. 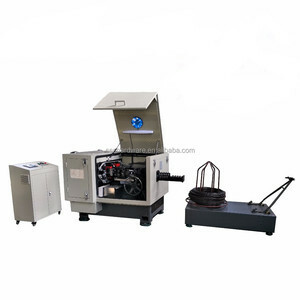 used wire nail making machine Brief introduction of used wire nail making machine : This kind of wire nail making machine adopts piston structure to ensure the high working speed, low noise and less chance of impact characteristics, especially can make excellent quality YouMao nail and other special-shaped nail which are suitable for high speed studs for welding machine and nail gun. Raw material can be used : Normal wire, new metal wire, waste rebar, scrap steel bar, hard-drawn wire, waste electrode, and other kind of waste steel. Process of nail making: Wire-Rod &rarr; Wires-Drawing &rarr; Nail-Making &rarr; Polishing &rarr; Packing &rarr; Delivery Technical speciation of used wire nail making machine : More photos of used wire nail making machine : Packaging and transportation of used wire nail making machine : Welcome to come our factory to check , it is my pleasure show u face to face , If u like any our machine or have any questions please contact me easily , i will reply u ASAP . Thanks ! 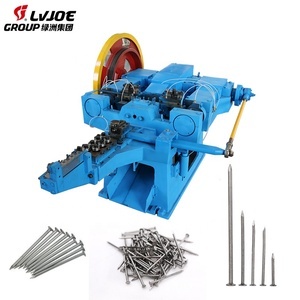 Alibaba.com offers 453 used wire nail making machine products. About 11% of these are wire drawing machines, 2% are nails. 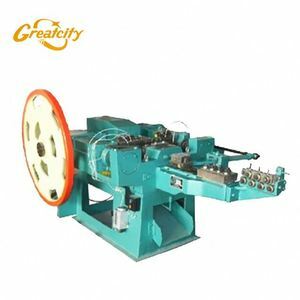 A wide variety of used wire nail making machine options are available to you, such as free samples. There are 453 used wire nail making machine suppliers, mainly located in Asia. The top supplying country is China (Mainland), which supply 100% of used wire nail making machine respectively. Used wire nail making machine products are most popular in Southeast Asia, Africa, and Mid East. You can ensure product safety by selecting from certified suppliers, including 144 with ISO9001, 75 with Other, and 1 with GSV certification.